Access Plus Account Manager programming software, you can customize the system immediately. Set up time zones, add or delete access codes, set up email notifications, and even lock or un-lock a door with the click of the mouse button. 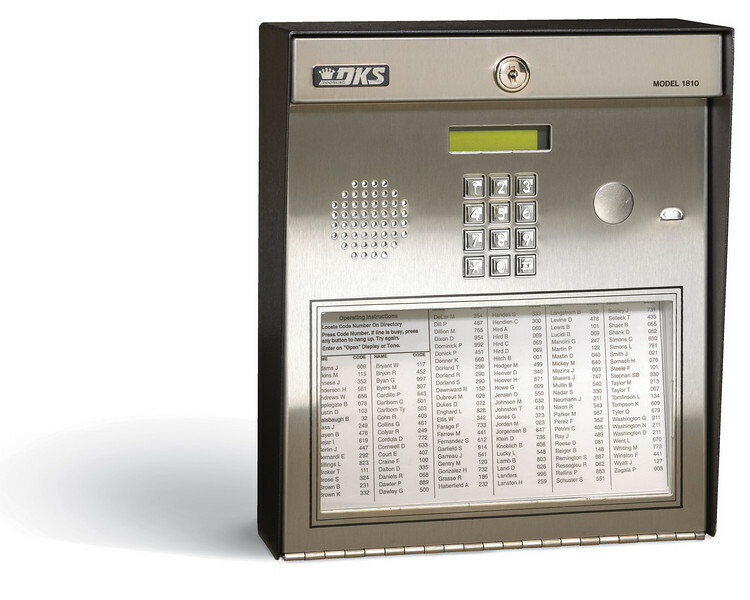 The Model 1810 Access Plus provides voice communication from the entry point between the resident/tenant and guest. The 1810 AP is ideal for residential, multi-home, small gated community or apartment house applications. It features a built-in lighted directory that can be printed directly from the Access Plus Account Manager software. DoorKing's Access PlusAccount Manager Software is a powerful, flexible and easy to use computer program that allows you to manage access control in a variety of controlled access applications.